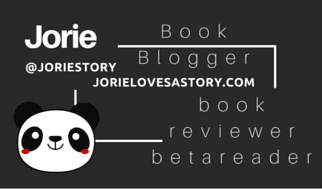 Today, I am hosting my last blog tour with Rachel’s Random Resources – as although, I have loved hosting her authors and getting to know the writers from across the Pond, I have decided to reduce the blog tours I am hosting as this year is a continuation of my Renaissance on Jorie Loves A Story. Wherein I am trying to sort out what works best for me as a reader – of late this means less print books and more audiobooks – as well as the fact we’re moving into our stormy season where I knew I would limit what I would commit to hosting from the end of Spring til the first months of Autumn. I also want to take a chance to start to seek out the authors I’ve been hosting through these lovely blog tours wherein I’ve hosted author interviews – therefore, it is another period of growth for me as a reader and as a blogger. 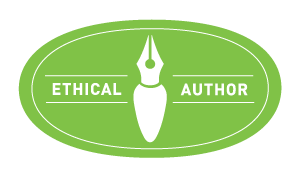 This is also the week where I said ‘good-bye’ to hosting for Blogging for Books – as the publisher stepped down from the programme after a ten year run. I was with Blogging for Books the past four years, but I did not get the chance to read too many of their offerings – the latest is about Hollywood, if you’d like to see what my last review is for them. Originally, I had hoped this might be my second or third video interview – as I previously announced I had a few in the works this Spring – the author decided to make this a standard interview instead, which I was happy to host just as keenly as it’s the convos I love most to be able to share with my readers! Especially as sometimes I think these special features help us find new authors to read – as the case has been true for me in the past! I am still in the throes of assembling the questions for a second video interview, this time round it will be about the #AwesomeJones #superherofiction series which I recently re-highlighted with my review of ‘Lona Chang’. I truly think you will be charmed by what you find in Cockleberry Bay – the author does a great job of alighting you through her vision for her novel, gives small hints towards what you will expect find inside about her characters & paints quite the happy portrait of a Contemporary Rom you might love reading next! I hope you’ll enjoy this convo as much as I have myself! Top cheers! I have a favourite Christmas movie which involves a similar premise wherein the benefactor of the community is giving away either money or specific items his neighbours need without revealing his identity. He finds someone (a young woman) to take-over his mission after he passes on – which is why when I read the synopsis for this novel my ears immediately perked up! I love stories which have mysterious benefactors (there is a non-Christmas Indie film which dips into this as well from the POV of a book seller) as they are such a delight to see unravel! What was the impetus of inspiration for creating this story? What gave you the spin on the idea about the inheritance? May responds: The inspiration for the story was that my father is an artist and painted a beautiful picture of an old corner shop that used to be a sweet shop in a village next to mine. It is long gone, but seeing it made me think of the book/film Chocolat and what a good idea it would be to revolve a story around a shop in a quaint seaside town.